Kurt Austin and his crew are back to slake their thirst for action as they attempt to drown an eco-extortionist's plan to control the world's freshwater supply. From deep within the Venezuelan rain forest emanates the legend of a white goddess and a mysterious tribe with startling technical accomplishments. Few believe the tribe exists, and even fewer suspect its deity can change the course of history. For National Underwater and Marine Agency (NUMA) crew leader Kurt Austin, an investigation into the sudden deaths of rare whales leads him to the Mexican coast. Meanwhile, in South America's lush hills, a specially assigned NUMA crew turns up the white-goddess legend - and a murderous cadre of bio-pirates intent on stealing medicinal secrets worth millions. Soon Austin and his crew realize they're working the opposite ends of the same grand scheme. A California agribusiness tycoon is poised to rise to power by monopolizing the earth's depleted freshwater reserves and dominate the world. Austin has a hunch the mythical tribal goddess may be the key to locating a secret formula that could turn seawater into fresh. 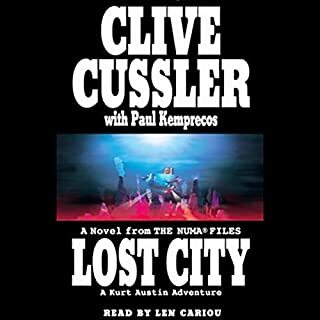 But with each step into the bush, he and his NUMA team feel like fish out of water, and they must fight a trail of enemies through a dense jungle of treachery and murder. 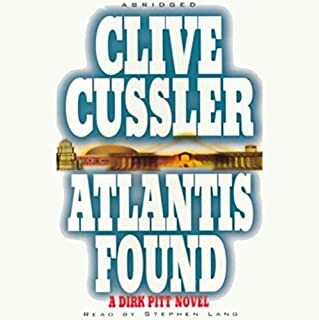 ©2000 Clive Cussler. All rights reserved (P)2000 Simon and Schuster, Inc. All rights reserved. 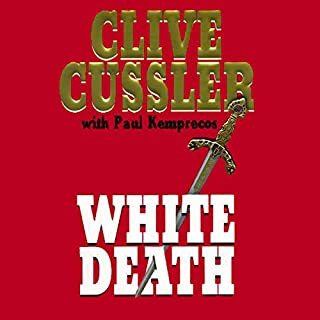 Love Clive Cussler novels but abridged versions just don't cut it. Need unabridged version! 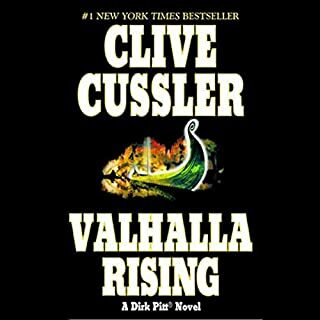 I always enjoy Cussler, and David Purdman did a great job narrating the book. 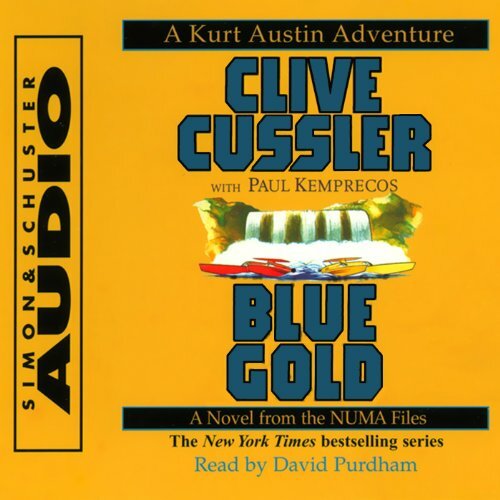 But I did not realize that it was the abridged version of Blue Gold when I purchased it. I was trying to follow it in the book while listening to it in my headphones. That was d fficult. I will never buy an abridged version again. Was not enjoyable. Abridged version lacking, last time for that. Will avoid narrator in future. 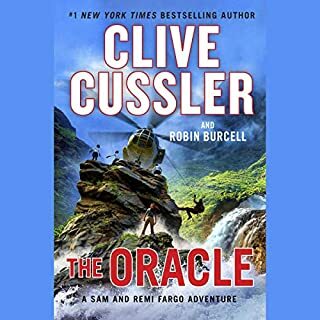 The story line was still a up to expectations on Cussler, but I do prefer Scott Brick. This was like letting someone read a book to you. Normally the presenter has different "voices" for the different characters. I found Mr. Purdham made little effort to do so. I will ask for my money back. love Clive Cussler but The Abridged versions have got to go need the unabridged please! enjoyed the numa team and their exploits. seemed like a fast listen. will get more from the NUMA files. I love the Numa books. The reader made me want to stop listening often. It’s a shame a publisher doesn’t listen to the product before subjecting people who purchase it to poor voice with lack of talent. This is the abridged version. Waste of money and/or credit! Abridged audio books shouldn't exist! Overall, I thought the plot was simplistic. i very MUCH prefer scott Brick for narrator. Very good. I enjoyed this immensely. 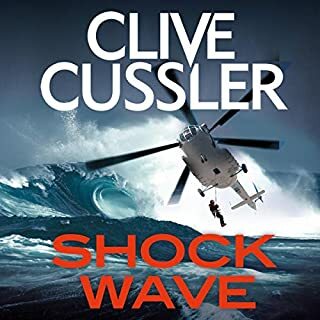 Clive Cussler always seems to keep the plot going from beginning to end.